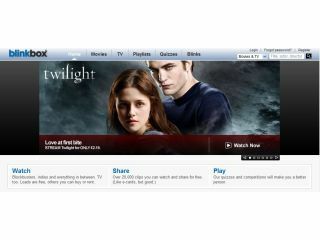 Blinkbox has strengthened its position in the paid-for movie downloading market by signing a new deal with Warner Bros. The link-up means that blockbuster movies will be coming to the UK-based service, with the likes of The Dark Knight and RocknRolla available now for £2.49 a pop – or up to £11.99 if you want to keep the file. The service is available in three speeds, so even if you have a slow-ish connection, you will be able to enjoy movies on demand. The speeds are: high at 1088kbps, standard at 544kpbs and low at 272kbps. The deal means that Blinkbox now has a rather impressive portfolio of 1,100 movies and TV shows available to watch immediately from Warner Bros.
Six more content partners have also been announced. These are: Cinetic Rights Management; Revolver Entertainment; Eagle Vision; Black Diamond; Raindance and X-Treme Video. Together they bring around 250 titles to the service. "With our streamed service, users get instant gratification at affordable prices without having to leave their home, wait for the post or download any unnecessary software," said Michael Comish, Chief Executive and Co-founder of Blinkbox. "We've made a substantial percent of our catalogue available to stream on blinkbox.com right now, thus giving our users immediate access to the world's best films, legally, quickly and efficiently." Go to www.blinkbox.com for more details.